Turn your Startup Idea into Reality! From University City to Fishtown, Philadelphia Makers and collaborators are sweeping the city, with a multitude of different services offered to help startups expand and build their brand. We’ve rounded up some of our favorite organizations in Philly below – reach out to them today to start honing your craft and building your brand! Accelerators and Incubators: Have you always dreamed of starting your own business, but don’t know where to begin? Good Company Ventures is devoted to helping young entrepreneurs develop themselves and their brands. You’ll be introduced to a network of invaluable professional resources, ones you certainly won’t find on campus! By the time they’re done assessing your vision and helping to strategize…your startup will be ready for business! 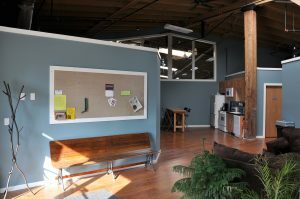 Collaborative Workshops; Located in West Philadelphia, The Cedar Works holds 22 artist workspaces and professional offices. Originally an old warehouse, this building has been refurbished to be the perfect setting for an artist to express themselves and commit to their work, while having the opportunity to meet other professional artists. Digital Design and Build: 03 World specializes in digital product design and development. They work with businesses and startups to help them develop and expand their brand. Next time you’re at a 76ers game, walking through the University of Pennsylvania campus, or at the Comcast Tower, take note: 03 World represents these incredible brands. 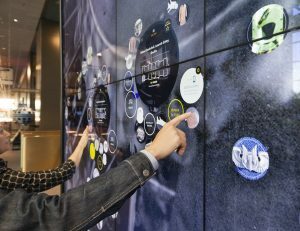 Fabrication and Industrial Design: Emmy Award-winning digital agency Bluecadet focuses on creating digital technology for museums, universities and nonprofits. Some of their biggest clients include National Geographic, the Smithsonian Institution, The Franklin Institute and The University of Pennsylvania! You need help developing an app or website for your startup? Go to Bluecadet! Product Storytelling: Rec Philly offers a multitude of services including event planning, media content creation and advertising campaigns. They hope to expand and highlight their client’s brands and increase their influence. Their partnerships include Firefly Music Festival, Red Bull and even Temple University (Go Owls!). All of these great companies are looking for new clients or entrepreneurs to help them develop their brand. If you are looking for assistance with your startup, one of these companies is sure to be perfect for your needs. Be sure to discover many more of these Philadelphia Makers on their website!